Lotusland, also known as Ganna Walska Lotusland, is a public garden extending across more than 35 acres on what was once the private estate of Madame Ganna Walska, a Polish opera singer and socialite who dedicated the last 40 years of her life to cultivating spectacular collections of exotic plants. 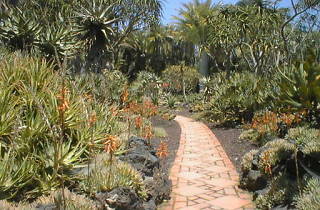 After her death in 1984, Lotusland became a non-profit botanical garden and opened to the public in 1993. 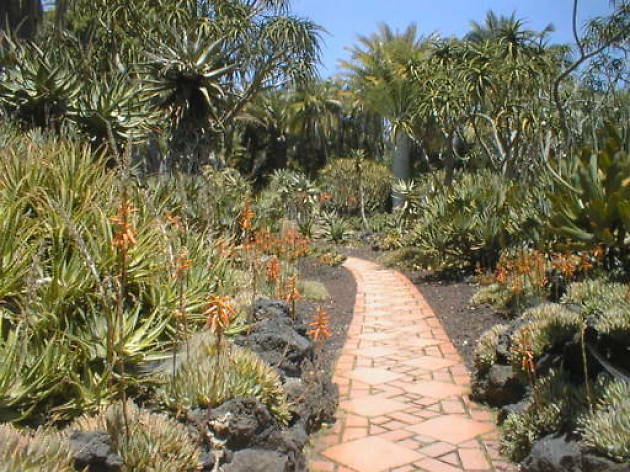 There are over fifteen seperate gardens here, including an aloe garden, a blue garden (consisting only of plants with a blue or silverish hue), a butterfly garden, a fern garden, a Japanese garden... the list goes on and on. There's also an orchard, a water garden (to display the attraction's namesake flower) and a topiary garden featuring 26 animals, chess pieces, geometric shapes and a hedge maze. Note: Because Lotusland is located in a residential area, advance reservations are required to tour the grounds.